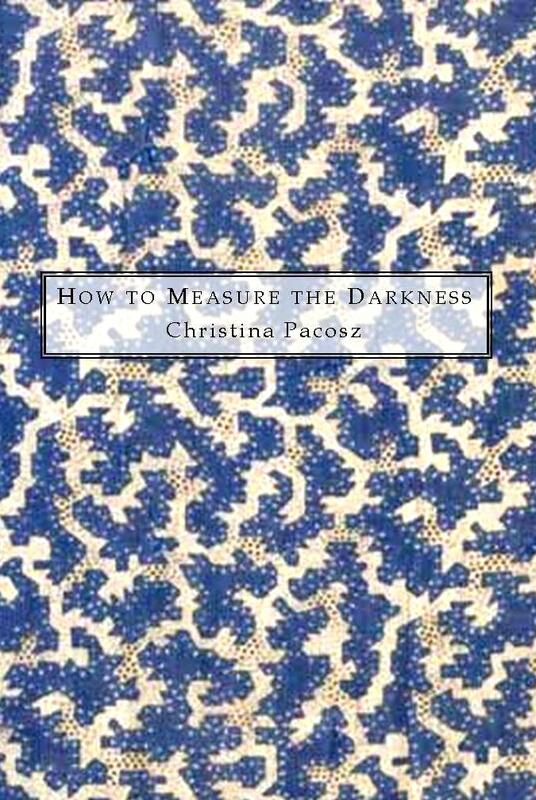 How to Measure the Darkness. Number 1 in Volume Three of our limited-edition Summer Kitchen Chapbook Series. We are honored to bring more of Christina’s work into print. Cover image: antique indigo quilting fabric, Pennsylvania. Series design by Ron Mohring. Born and raised in Detroit by working-class Polish-American parents, Christina Pacosz’ poetry & writing has appeared in literary magazines, anthologies and online journals for half a century. A poet-in-the-schools and a North Carolina Visiting Artist, she has published several books of poetry; her chapbook, Notes from the Red Zone, originally published by Seal Press in 1983, was selected as the inaugural winner of the ReBound Series by Seven Kitchens Press in 2009. She lives in Kansas City, Missouri.